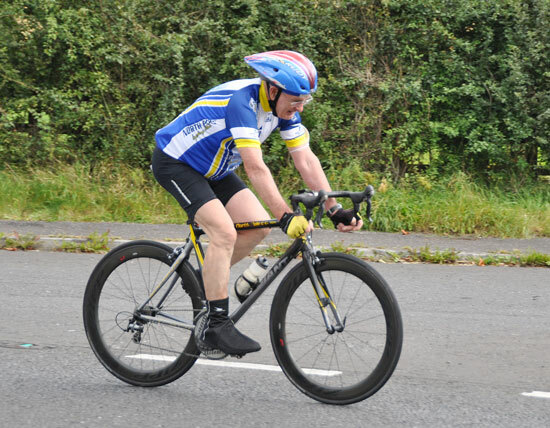 Sunday morning saw twenty eight hardy souls tun up at Woodgreen at eight o'clock in the morning to register for the gruelling 100 mile time trial championships promoted by Ballymoney CC. The weather conditions were good with hazy sunshine and the wind was not too strong. All the top contenders for a record attempt were on the line-up. 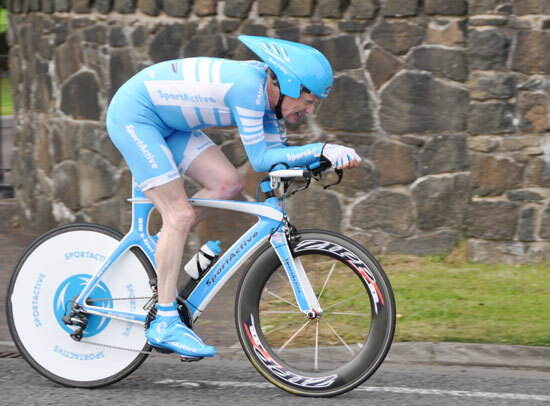 Bryan McCrystal of Aqua Blue smashed the senior record last year with an outstanding time of 3:34:52 while John Madden set a new Veteran's record 3:42:49. 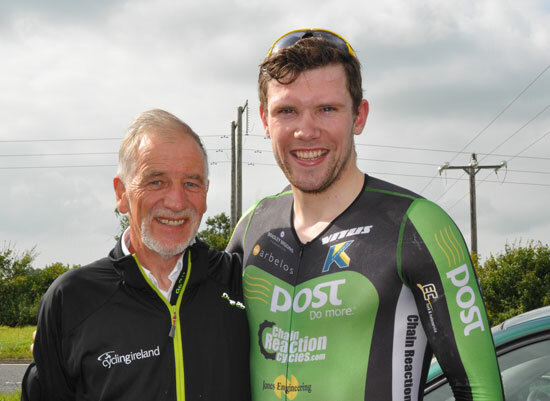 Along with McCrystal and Madden other top contenders included Marcus Christie of An Post and Sean McIntyre of Orchard CC. 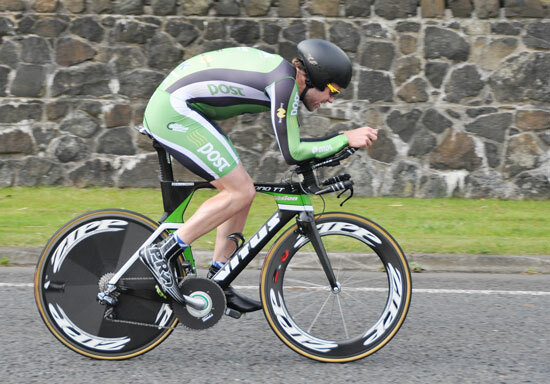 Christie had taken part in a ten mile TT the previous day recording a knockout time of while McIntyre, the relative new kid on the block, continues to impress with his time trial achievements throughout the year. 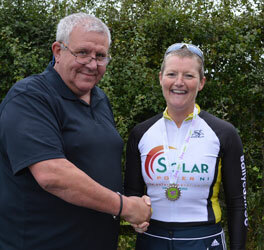 Other regular competitors were Helena Dornan of Ballycastle back to defend her 2013 title and 72 year old Willie John McLaughlin of North Pole taking part in his sixth 100. 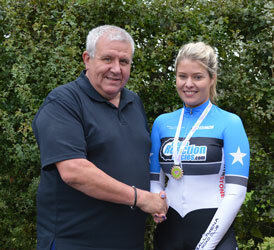 In the end Christie smashed the old record by almost seven minutes in a superb time of 3:27:11 and lifted the gold medal and the Martin Birney SportActive trophy. Madden also impressed by taking another five minutes off his previous best to set a new Veterans's record of 3:37:36 and won the Veterans title again. 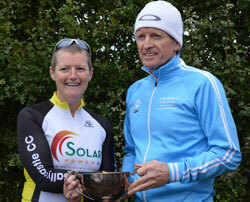 Both records are subject to ratification by Cycling Ireland. 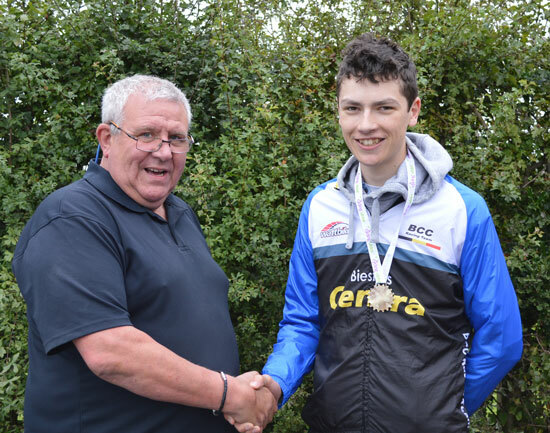 While McCrystal failed to reach his previous record by less than two minutes, McIntyre put in a super effort to take third place overall just one second behind McCrystal with a time of 3:36:40 giving him silver medal in the senior competition. Stephen Workman of Ballymena CRC took senior bronze in a time of 3:45:40. 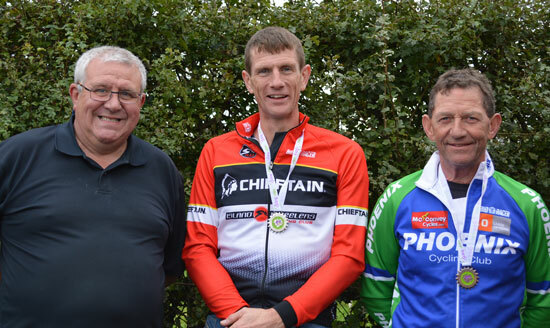 In the veteran's competition Barry Hayes of Island Wheelers recorded an impressive 3:54:49 to take silver while Sean Hargan of Phoenix CC took bronze with 3:57:32. Stuart Lavery of Ballymoney is the first Junior to take part in this competition and he recorded an impressive 4:03:14. 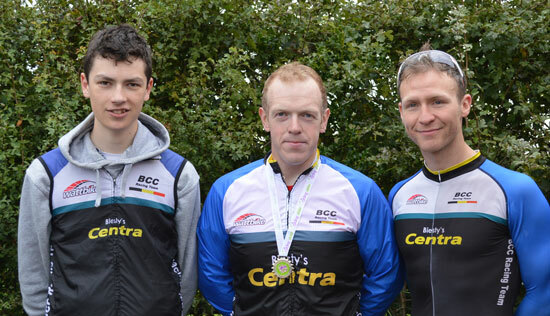 Team medals went to Ballymoney squad of Stephen McAllister, Mervyn Linton and Stuart Lavery. 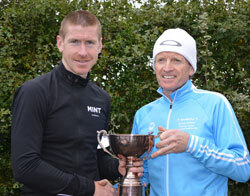 Martin Birney was not only on hand to present the SportActive Triophies to the winners but he also took part in the event recording a time of 4:07:43. Many thanks to Ballymoney CC for promoting the event once again and to all the marshalls and helpers who turned up to help. 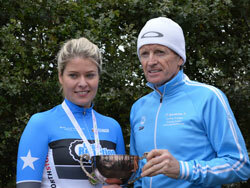 Thanks also to timekeeper Gordon Parker and Alicja Černák for the presentation pics. Thanks also to Comm on the day Maurice McAllister.